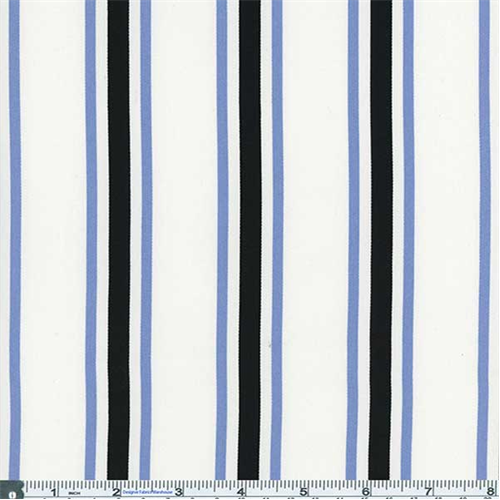 Vicki Payne Bungalow stripe print in natural, black and blue. Light-midweight cotton twill fabric with a smooth softly crisp elegant surface feel, not drapey. Fabric is not fully opaque. Suitable for light-duty home decor accents in tailored styles such as table runners, toss pillows, and drapes. May also be used for light casual pants, dresses, or fashion jacket/blazers.